Fun watching all the young people interact and learn along the way. Everyone’s having a blast! Today we had Mass at beatitudes (homily here), priests gave their vocation stories on the buses, Caesarea Philippi where Jesus appointed Peter as the rock and gave him the keys. Also we stopped along the Syrian border and looked over where ISIS and their buddies are killing Christians, ate Druze bread sandwiches in the Golan Heights and visited some of the places were Jesus did his miracles along the shore of Galilee. Happy New Year from Israel ?? 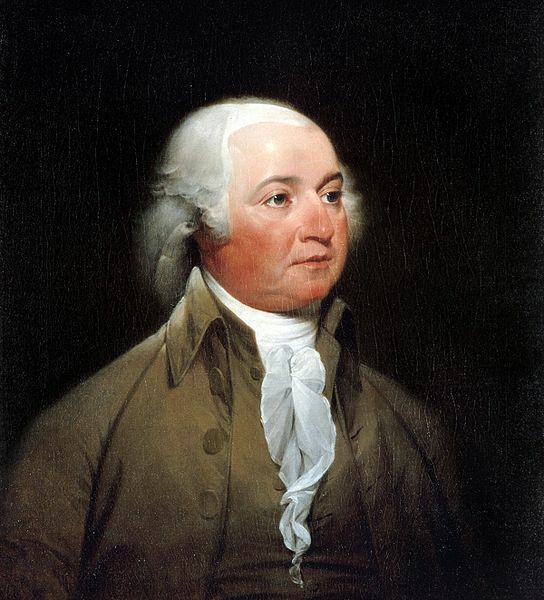 John Adams (1735-1826) was a Founding Father of the United States. He was raised in an austere Protestant movement called the Puritans who left England to flee liturgical Christianity and to find religious freedom. He was raised as a Congregationalist and later turned to Unitarianism. He was elected President of the United States in 1796. 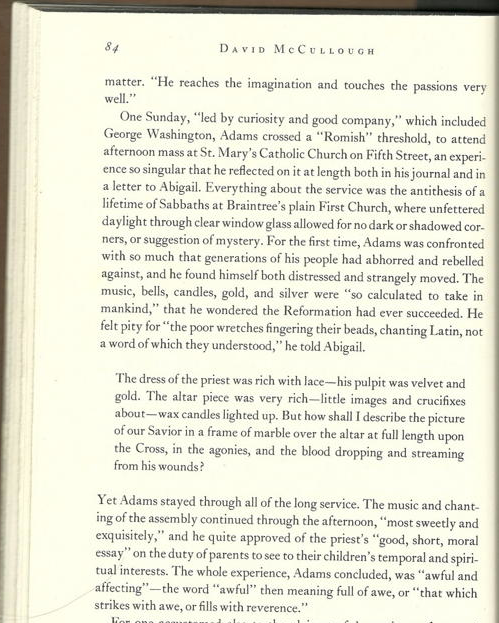 My older brother sent me the page (84) on the left from a biography of Adams entitled John Adams by David McCullough. I thought it was insightful. Click on the image of the page to read the comments. Thanks for sharing this with me. I quite feel like this too at Mass, especially in some of the old beautiful churches, like the majestic churches in Detroit and in Europe. And, I still tear up frequently during the splendor of the Mass. His explanation shows he picked up on much of what is known to most Catholics. 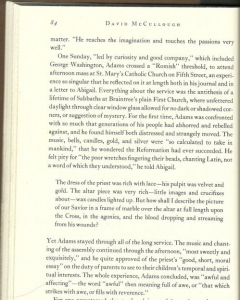 I sense this awe at Mass and can relate to Adams’ observations — having lived deeply now in both worlds, plain and chatty Protestantism and mysterious and heavenly Catholicism.